Cutaneous warts are one of the most common and difficult conditions we treat in dermatology. The unfortunate fact is that the majority of cases require multiple, often painful treatments, and recalcitrant cases are common. This is evident when looking at our two most well-researched treatment methods: cryotherapy and salycilic acid, with 49 percent and 52 percent cure rates, respectively.1 Hyfercation is more effective, but like other treatment options, it has limited use in younger patients or patients with warts in sensitive areas. Not only are warts stigmatizing socially, but in one study, half of patients reported moderate to severe discomfort from their warts.2 These issues have fueled many panel discussions, internet message board threads, and experimentation with lasers and numerous medications. Topical medication is, in theory, an attractive way to treat warts. This is especially true in younger patients who cannot tolerate the pain and prolonged recovery from physical treatments. Currently the only topical treatment FDA-approved for the treatment of warts is salicylic acid. Imiquimod is approved for anogenital warts and has demonstrated a cure rate of 44 percent for cutaneous warts.3 5-Fluorouracil (5-FU) is also modestly effective, with reported cure rates of 23 perent.4 Given the effectiveness of monotherapy with topical medications, it is logical that combination topical therapy would be investigated to achieve higher cure rates. A systematic literature analysis and meta-analysis of randomized-controlled studies (RCTs) of a drug combination containing 0.5% 5-FU and 10% SA in the treatment of common and plantar warts proved to be far superior to 5-fU alone. This medication has been approved in Europe for more than 30 years under the trade name Verrumal. In 2011 it was approved for the treatment of actinic keratosis in Europe under the name Actikerall. The therapeutic response across all studies in common warts was 63.4 percent (complete healing) for 5-FU/SA vs. 23.1 percent for the 5-FU-only controls. In plantar warts, the response was 63 percent vs. 11 percent, respectively. This combination represents a significant advance when compared with topical monotherapy. Keep in mind that all of the cure rates referred to above were achieved over a period of one to three months. If topical treatments could predictably resolve warts in a few weeks with minimal side effects, they would certainly become the treatment of choice for many warts. 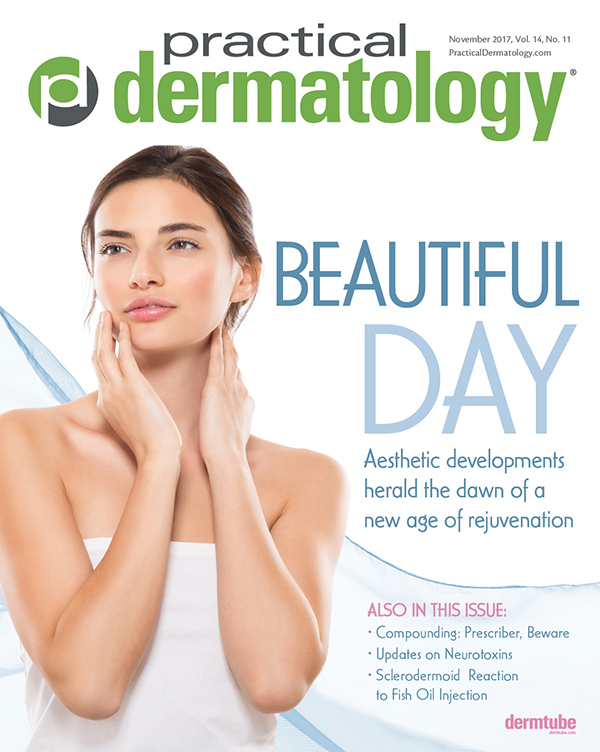 In practice, topical treatments are unreliable and may cause extensive irritation to the surrounding unaffected skin. This is in large part due to the fact that these medications may not dry quickly enough, and often migrate from the hyperkeratotic wart to perilesional skin. Since unaffected skin is far more sensitive, irritation results, and the patient is forced to stop treatment before the wart has resolved completely. Migration of topical medications also dilutes the active ingredients and thus their clinical strength. 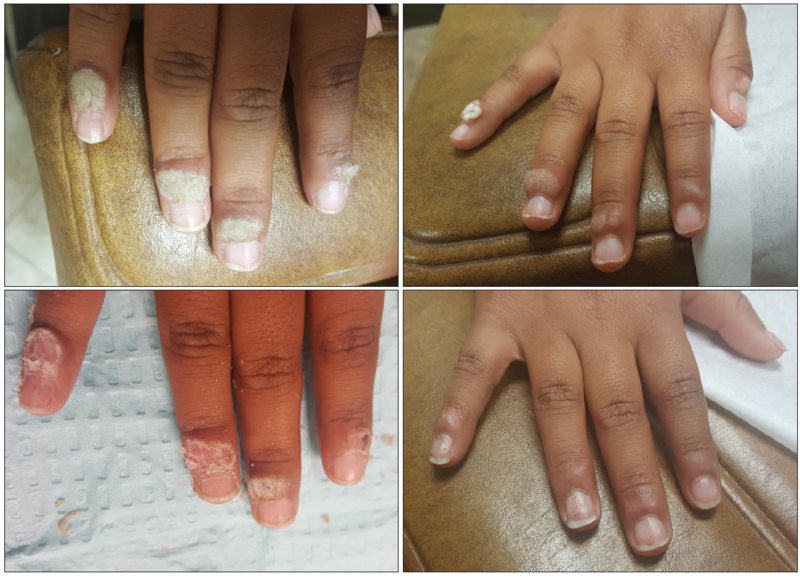 An eight-year-old female with extensive warts on the fingers had failed multiple cryotherapy treatments with PCP. Five days after starting Wartpeel, note the treated areas are white and there is no perilesional erythema. This patient was careful to apply it only to the wart. After curettage, patient then continued only three days until the area became erythematous, then as per our instructions discontinued Wartpeel and allowed the area to heal. Seven days after discontinuing medication the patient was cured. MedCara Pharmaceuticals offers Wartpeel: 5-FU (2.5%) and Salicylic Acid (17%) in Remedium Delivery System, a compounded medication that was patented in 2010. It began development in 1991 as a treatment for plantar warts in collaboration with a podiatrist. The current form is the seventh generation of this product. According the patent application it is “75% by weight of an adhesive; whereby the composition is a sustained release topical gel that releases salicylic acid onto the wart for removal of keratin of the wart and surrounding skin to allow penetration of the 5-FU into the wart.” It is available by mail order nationwide (wartpeel.com/patients/). Here we discuss the properties of Wartpeel and protocols for its use that go beyond the written and video instructions provided by MedCara. This is based on our experience with 129 patients, the majority of whom were treated in the past year. 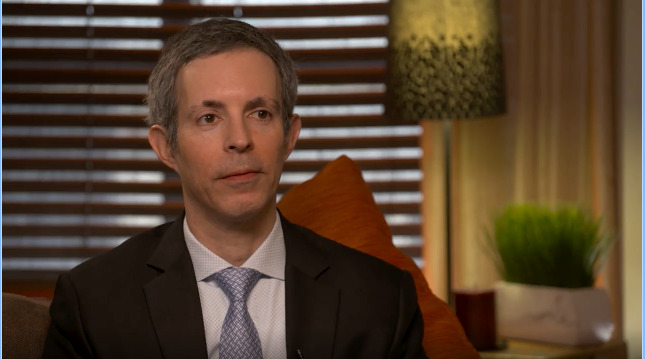 We will provide guidelines for the treatment of different types of warts, discuss optimum follow-up protocol, and offer clinical pearls to enhance treatment outcome. We have found Wartpeel to be highly effective, with an observed cure rate of over 90 percent. Just as impressive is an average treatment time of only two weeks, and no recurrences reported by patients to date. In fact, mild recurrences may be occurring, but may be effectively treated by patients at home. Patient satisfaction has been high due to the excellent tolerability and accelerated treatment time. With the speed and effectiveness of this treatment, Wartpeel has become an indispensable first-line treatment in our practice. Let’s discuss features of the formulation that make it highly effective. Although Wartpeel comes with instructions and is generally easy to use, patients benefited from some additional instructions as well. We preferred to apply the medication in the office the first time and allowed it to fully dry so patients were guided to apply the medication correctly. We found this invaluable for both patient education and as a way of decreasing primary non-adherence. 1. The first thing to stress is to let Wartpeel dry completely (5-10 minutes). Wartpeel comes with tape to cover the medication after it dries. If the patient does not wait until it is fully dry the medication will spread and irritate normal skin, causing unnecessary irritation and possible early discontinuation. When completely dry, the medication should be hard to the touch. We advised patients to test with a Q-tip or the plastic spatula that comes with the Wartpeel. 2. Patients tended to only apply Wartpeel on the top of the wart, which is adequate for flatter warts. Warts with significant height and hyperkeratosis should have it applied to the sides as well. We told patients that putting on Wartpeel is like frosting a cake, in that it should be spread on all sides of the wart, rather than frosting a cupcake, where it is put only on top. 3. Many patients presented on follow-up disappointed because the wart had not shrunk. This is why it is important to tell the patient that the wart will turn white as it dies, which is a sign the medication is working. Patients were often surprised when we performed curettage and most of the white desiccated wart was removed. d. The most common reason is that Wartpeel had completely resolved the wart and was being applied to normal skin. We found that many patients were extremely motivated to rid themselves of their warts and used Wartpeel even as their skin became severely irritated. We instructed patients that if the wart was flat and was starting to get irritated most likely the wart was resolved, and medication needed to be discontinued to allow the skin to return to heal. 4. If patients are making slow progress or have a very thick wart, and if they are not showing signs of irritation, they can be moved up to bid dosing. When you do this, you must advise patients to return to QD dosing if excessive irritation occurs. 5. How long to use it? This depends mainly on how thick the wart is. For example, a filliform wart on the neck will require two to four days of treatment, while a thick plantar wart can take two to four weeks and may require weekly in-office paring. Patients need to be advised that they can take a break if the area becomes too inflamed. Molluscum contagiosum: In office treatments, no matter how good, are not ideal for treatment of MC. This is because even once treatment has started it will potentially require several more treatments over the next few months as new lesions come up and the body builds immunity to the virus. We have found Wartpeel to be an ideal treatment for this condition with a few caveats. These lesions, unlike warts, are not hyperkeratotic, and patients need to know not to use it for more than three days to avoid unnecessary irritation to the skin. One follow up is usually advisable to make sure patients are applying it correctly, then most patients can treat themselves as lesions come up until their outbreak is resolved. Some patients do experience a mild but tolerable burning sensation when this product is applied. As discussed, patients under six sometimes complain of pain and stinging and are unable to tolerate Wartpeel, and parents should be advised to do one test lesion first. Because of the precision with which Wartpeel can be applied to the molluscum, it produces much less erythema and damage to the skin when compared with cantharidine. Seborrheic Keratosis: SKs negatively affect quality of life and have an affinity for visible areas like the face, neck and hands. One particularly challenging type of SK to treat are the 1-2mm SKs on the face and neck, or DPNs. They are too small to freeze without extensive damage to surrounding tissue and possibly hyperpigmentation, especially in darker skin types. Hyfercation with or without local and or topical anesthetic is time consuming and difficult to tolerate, except for those patients with a high pain tolerance. Because Wartpeel is thick and dries quickly, it can be applied accurately for even the smallest lesions and have similar treatment times to warts (thin-skinned areas two to four days, thicker skinned areas one to two weeks). Condyloma: We have tried Wartpeel in a small number of male condyloma patients with good results. If the condyloma are thin and flat we advise two to three days application maximum and then tell patients to let the area heal to see if the wart remains. Patients were very motivated to clear their warts and tended to use it for longer than expected even if they experienced burning or erythema. It is key to set strict guidelines for how long the patient should use it and to urge them to discontinue with any significant erythema. Making sure Wartpeel fully dries is even more critical on this thin sensitive skin. 1. The synergy of salicylic acid and 5-FU. The respective mechanisms of action of salicylic acid and fluorouracil alone are not highly effective for treatment of warts; combined, they have an excellent synergy. Salicylic acid’s keratolytic action breaks down the dense layers of keratinocytes, which would normally inhibit 5-FU from penetrating to the level of the living virus where its anti-neoplastic mechanism of action can be fully realized. With 5-FU’s anti-neoplastic mechanism enhanced, the salicylic acid has the ability to break down the wart faster than it can grow. 2. Sustained release adhesive vehicle. Once applied, Wartpeel dries quickly (within five to 10 minutes) and then delivers a sustained release of medication. This mechanism increases the potency of the active ingredients by keeping them on the treatment site. The “occlusive” film assures that the highly irritating active ingredients remain in contact with the wart, preventing it from spreading to the much more sensitive perilesional skin, where severe irritation may lead to early discontinuation and treatment failures. We have attempted to prescribe salicylic acid and 5-FU separately for patients who were unwilling to purchase the compounded medication, which is not covered by most insurance plans (the cost for most patients was not prohibitive). The results were far inferior to the compounded medication with a high rate of treatment failures mostly due to discontinuation due to excessive irritation. Wartpeel comes with instructions from MedCara and their licensed compounding pharmacy, NuCara Pharmacy, advising patients to put it on at night on the wart only, cover it with the tape provided, and wash it off in the morning. The instructions let the patient know they can expect the wart to begin turning white within the first few days, and that some of this white material may slough off. Our clinical experience shows that patients benefit from more detailed instructions, and in most cases benefit from follow-up appointments. For especially thick, hyperkeratotic warts, we recommend a follow-up one week after the patient starts the medication. At that time examination of treated warts will show white, often hard, desiccated wart which can be pared to assess if further treatment was needed. On follow-up, some patients presented with a flat, mildly erythematous area clear of warts, where Wartpeel was applied. This is because some warts, especially the less hyperkeratotic flat warts, peeled off spontaneously. Patients with multiple hyperkeratotic warts benefited from weekly follow-ups. Since patients with multiple warts found it difficult to gauge whether to continue treatment, the follow-up visit consisted of paring and marking which warts need continued treatment. For simple, small warts, patients were instructed to use Wartpeel until the wart is flat, or until the skin becomes inflamed. In that case, patients are told to apply Vaseline and a bandage during the day and take a several day break from the medication until the irritation subsides. Once the irritation has resolved, patients are instructed to continue treatment if the wart is still present. Most of us have used these two ingredients separately and are familiar with their side effects. Because this is a compounded medication and not an FDA-approved medication there is no safety data specifically for Wartpeel other than what we know about the component ingredients. However, we do have recent safety data for the European medication Actikerall (10% salicylic acid 0.05% 5-FU solution), however there are marked differences between the products. Actikerall has lower concentrations of salicylic acid and 5-FU and is in a much different vehicle (solution vs. adhesive). It is also applied for a longer period of time (up to 12 weeks vs. Wartpeel at two to four weeks) and on a broader area of treatment (face and scalp vs. locally to the wart). Still, it is useful to note the top three side effects of Actikerall were skin irritation (86.1 percent), inflammation (76.3 percent), and pruritus (44.9 percent) with no serious drug-related adverse events reported. No systemic absorption was observed with Actikerall, but alternative medications are advised for use during pregnancy based on conflicting human data regarding systemic fouorouracil. With proper education and follow-up, we have only experienced discontinuation due to pain, burning, and erythema in a few patients, who were all age six or younger. For these patients we recommend to treat just one small area the first time. The medication does cause some stinging and pain, and patients under six with low pain tolerance may not be able to tolerate it. For patients with more than just small warts of minimal thickness Wartpeel works best as a provider guided therapy. Patients with multiple large thick warts in particular may be unsure if treatment is working or unsure when they should stop and should be seen at weekly intervals. At the weekly follow ups the most important procedure to perform is curettage to remove all the white desiccated skin. Based on how much wart remains we can provide time estimates for how long to continue to use wartpeel. We tell patients to look for increasing erythema, which indicates that Wartpeel has cleared the wart and is now in contact with normal tissue. The other indicator is a once raised wart that is now flat. Lastly, as the name implies, Wartpeel does cause smaller warts to peel from the skin once they are sufficiently desiccated. A final tip is for patients with numerous warts undergoing treatment, using a marking pen to mark the ones that should continue to be treated to more precisely guide therapy. 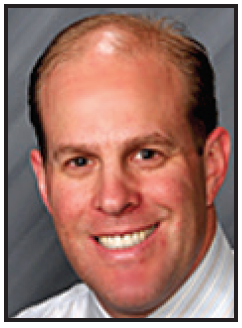 Steven Leon MS, PA-C is a dermatology physician assistant working with Dr. Gennady Rubinstein in Simi Valley, CA. He is a paid consultant for MedCara Pharmaceuticals. 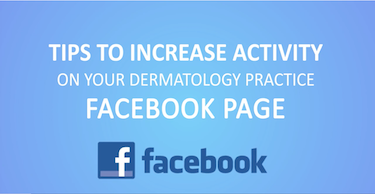 Gennady Rubinstein, MD, FAAD is a dermatologist in private practice in Studio City and Simi Valley, CA, and Clinical Instructor at the Division of Dermatology, University of California at Los Angeles. He is a paid consultant for MedCara Pharmaceuticals. 1. Kwok CS, Holland R, Gibbs S. Efficacy of topical treatments for cutaneous warts: a meta-analysis and pooled analysis of randomized controlled trials. Br J Dermatol. 2011 Aug;165(2):233-46. 2. Ciconte A, Campbell J, Tabrizi S, Garland S, Marks R. Warts are not merely blemishes on the skin: A study on the morbidity associated with having viral cutaneous warts. Australas J Dermatol. 2003 Aug;44(3):169-73. 3. Ahn CS, Huang WW. Imiquimod in the treatment of cutaneous warts: an evidence-based review. Am J Clin Dermatol. 2014 Oct;15(5):387-99. 4. Zschocke I, Hartmann A, Schlöbe A, Cummerow R, Augustin M. [Efficacy and benefit of a 5-FU/salicylic acid preparation in the therapy of common and plantar warts--systematic literature review and meta-analysis]. J Dtsch Dermatol Ges. 2004 Mar;2(3):187-93.